Howard Schultz added Scottsdale as a stop on his American bus tour that has been gaining national and local media attention as people wait for a possible announcement of his run for the U.S. presidency as an Independent candidate. 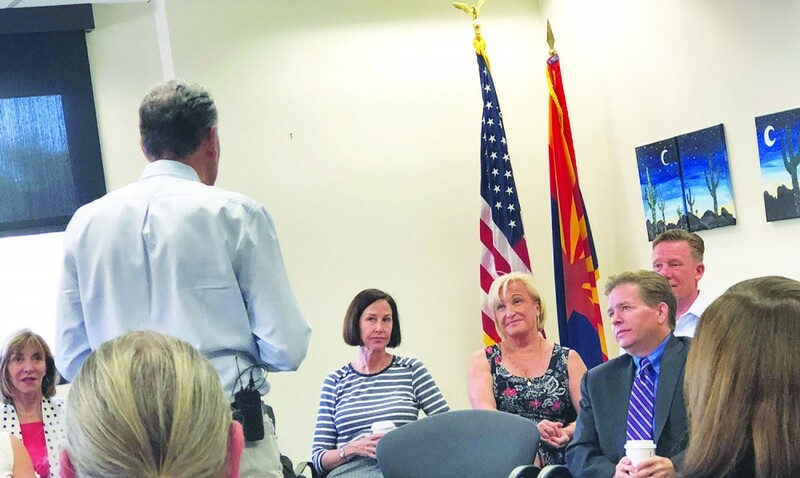 The former Starbucks CEO, 65, met with business leaders April 15 to gather feedback and discuss issues facing Arizona, including education, immigration and health care at the Scottsdale Chamber of Commerce, 7501 E. McCormick Parkway. Chamber of Commerce, to a crowd of about 40 community stakeholders and local media. Mr. Stanton explained the purpose of the town hall was to ask questions and give Mr. Schultz a chance to engage in community dialogue. Mr. Schultz noted he seeks a better understanding of the issues affecting the country by hosting intimate discussions where he can have unfiltered conversations and truthful feedback. 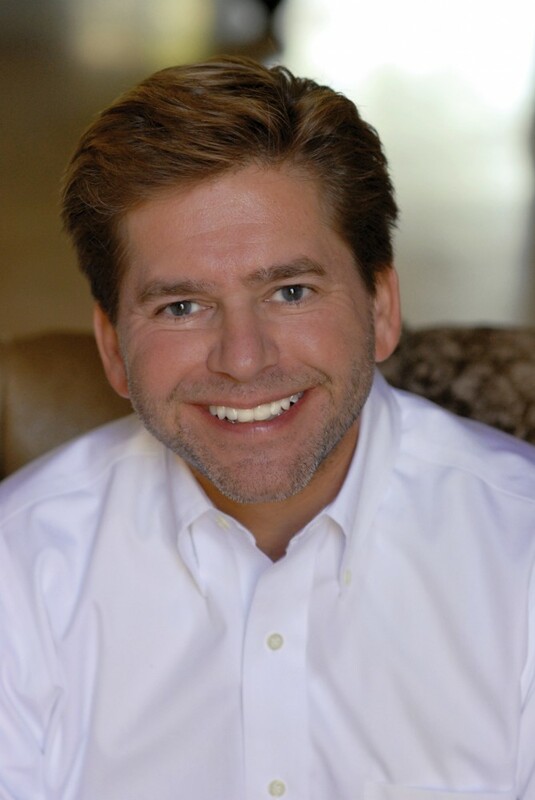 He said his experiences at Starbucks have given him firsthand knowledge on how to run a business with a balanced profit and social responsibility, however, running for political office requires an even greater obligation. Town of Paradise Valley resident Barb Stanton, wife of Mr. Stanton, started the conversation by asking what can be done for the children of America. She is the mother of two children. Howard Schultz talks with Barb Stanton about her concerns for the youth of America. “I want to reject that and say we cannot allow that to happen,” Mr. Schultz added.He said to fix the future for generations to come, the U.S. government must cease overspending and manage fiscal spending responsibly. The $22 trillion debt cannot be left for them to bear. He also noted the K-12 education system is failing. The U.S. used to be in the top 10 for education systems in the world and now we linger around the 30 mark. Mr. Schultz added there’s no easy answer in how to gain the vote of Millennials, but he would need to make a case to an entire generation that the presidency is serious business. “The next president of the United States must be the right person,” he said. When asked about how he could beat President Donald Trump, he smiled. “I think it is fair to say there is a core group of people who voted for him and are staying with him,” he noted, adding there are eight to 10 battleground states, including Arizona, that will play an important role for a competitive race. He needs 15.1 percent to be on the debate stage to make it a three-person race. He also announced that they have “cracked the code” and have found access to ballots in every state. “I’ll be on the ballot in every state,” he said, noting if he declares candidacy, he would need to have a vice presidential candidate by January 2020. The future of health care was brought to light by a small business owner who needs access to affordable care for her employees. He said that the pharmaceutical companies that were questioned by the U.S. Senate are the same companies who donated to their campaigns. Mr. Schultz explained that like-minded people must come together and have a long-term approach to solving entitlement issues. He noted the conversation must happen now for changes to the future. Immigration was also brought to the forefront. He noted to the crowd that he would be stopping on the border in Nogales to see it firsthand. He added that the U.S. needs strict border control, funding for the Immigration Customs Enforcement Agency and a humane approach for the DREAMers. For more information on Mr. Schultz’ views and statements, visit www.howardschultz.com. 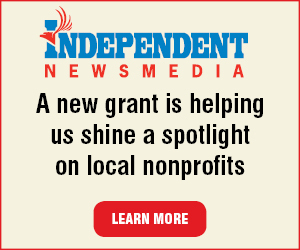 Charlene Bisson is Arizona Group Publisher of Independent Newsmedia. She can be reached at cbisson@newszap.com or on Twitter @charlene_bisson.